The most expensive global location to live in, as at July 2009, is still Tokyo Japan, however there have been some significant changes in the last year mainly due to large differences in exchange rates, and more recently, a real drop in prices along with the majority of global locations enjoying their lowest inflation rates in recent times. Tokyo’s cost of living index only increased by 1.4% from July 2008 to July 2009, but is 16 index points clear of 2nd placed Hong Kong (11th in July 2008). Last year Oslo, Norway, was the 2nd most expensive global location to live, however Oslo’s cost of living relative to the rest of the world has decreased by 27 index points over the past year. The cost of living indexes are based on pricing the same basket of goods in local currency and comparing them in US Dollars using exchange rates with New York as the base (New York = 100). In most cases the major factor driving the changes has been the weakening of other currencies against the US Dollar. This is the main factor behind Oslo’s drop from 2nd to 13th most expensive global location to live. The Norwegian Kroner has decreased 19% against the US Dollar over the past year. In contrast the Japanese Yen has increased 12.7% against the US Dollar over the past year. Joining Tokyo and Hong Kong in the top 5 most expensive global locations are Caracas in Venezuela (up 62 places in the rankings) to 3rd most expensive, followed by Bangui in the Central African Republic, and in 5th place is Geneva in Switzerland, down 2 places from July 2008. The largest increase in relative cost of living is Harare in Zimbabwe, albeit off a very low base. Harare has been ranked the least expensive global location for several years, mainly due to hyperinflation and a constantly weakening currency. This year Zimbabwe’s cost of living index has jumped 118% and is now ranked 275th most expensive out of 276 global locations. Other large increases in relative cost of living in the past year are Honiara in the Solomon Islands up 37% compared to July 2008, Caracas up 22%, Kigali in Rwanda up 19% while the 5th largest jump belongs to Manama in Bahrain, up 17%. The least expensive global location to live in this year is Tianjin in China with a cost of living index of just 30 compared to New York’s index of 100. Harare in Zimbabwe, last years least expensive global location is now 2nd least expensive, followed by Durban in South Africa. Phnom Penh in Cambodia is ranked 4th least expensive followed by Mbabane in Swaziland. The largest decrease in relative cost of living is Nuku'Alofa in Tonga with a decrease of 45%, followed by Brazzaville in the Congo with a decrease of 31%. The Congolese Franc has lost 44% against the US Dollar compared to July 2008. Mbabane in Swaziland had a decrease in relative cost of living of 30%, while Budapest in Hungary decreased 28%. The 5th largest decrease between July 2008 and July 2009 was Guangzhou in China with a decrease of 27% despite the Yuan strengthening slightly against the US Dollar by 1%. The Details: What Costs the Most Where? Alcoholic beverages such as beer, locally produced spirit, whiskey, and wine as well as tobacco products such as cigarettes are most expensive in Doha in Qatar, followed by Oslo, Manama, Moroni in Comores and South Tarawa in Kiribati. The least expensive place for alcohol & tobacco is Kuwait. Clothing and footwear products such as business suits, casual clothing, children’s clothing and footwear, coats and hats, evening wear, shoe repairs, and underwear are most expensive also in Doha, followed by Zagreb in Croatia, Dubai, Beijing and Manama. The least expensive place for clothing is Dhaka in Bangladesh. Communication costs such as home telephone rental and call charges, internet connection and service provider fees, mobile / cellular phone contract and calls are most expensive in Bissau in Guinea-Bissau, followed by Noumea in New Caledonia, Riga in Latvia, Ouagadougou in Burkina Faso, and Douala in Cameroon. The least expensive place for communication is Conakry in Guinea. Costs such as crèche / pre-school fees, high school / college fees, primary school fees, and tertiary study fees are most expensive in Caracas followed by Luanda in Angola, Brasilia in Brazil, Hamilton in Bermuda and Lagos in Nigeria. The least expensive place for education is Paramaribo in Suriname. Costs for furniture, household equipment and household appliances such as DVD player, fridge freezer, iron, kettle, toaster, microwave, light bulbs, television, vacuum cleaner, and washing machine are most expensive in Douala, followed by Bamako in Mali, Bangui, Lagos, and Freetown in Sierra Leone. The least expensive place for furniture & appliances is Harare. Costs for food, non-alcoholic beverages and cleaning material items such as baby consumables, baked goods, baking, canned foods, cheese, cleaning products, dairy, fresh fruits, fresh vegetables, fruit juices, meat, oil & vinegars, pet food, pre-prepared meals, sauces, seafood, snacks, soft drinks, spices & herbs are most expensive in Tokyo followed by Bangui, Honiara, Copenhagen in Denmark, and Lagos. The least expensive place for groceries is again Harare. Costs for general healthcare, medical and medical insurance such as general practitioner consultation rates, hospital private ward daily rate, non-prescription medicine, and private medical insurance / medical aid contributions are most expensive in Tokyo followed by Hong Kong, Caracas, Luanda and Hamilton in Bermuda. The least expensive place for healthcare is Tianjin. Costs for housing, water, electricity, household gas, household fuels, local rates and residential taxes such as house / flat mortgage, house / flat rental, household electricity consumption, household gas / fuel consumption, household water consumption, and local property rates / taxes / levies are most expensive in Hong Kong followed by Tokyo, Taipei in Taiwan, Dubai, and Luanda. The least expensive place for household costs is Asmara in Eritrea. Costs for personal care products and services such as cosmetics, hair care, moisturizer / sun block, nappies, pain relief tablets, toilet paper, toothpaste, and soap / shampoo / conditioner are most expensive in Banjul in Gambia followed by, Algiers in Algeria, South Tarawa in Kiribati, Moroni in the Comores, and Bratislava in Slovakia. The least expensive place for personal care is Ulaanbaatar in Mongolia. Costs such as books, camera film, cinema ticket, DVD and CD’s, sports goods, sports clubs and theatre tickets are most expensive in Maputo in Mozambique followed by Bangui, Doha, N'Djamena in Chad, and Cotonou in Benin. The least expensive place for recreation & culture is Harare. Costs such as business dinner, dinner at a restaurant (non fast food), hotel rates, take away drinks and snacks (fast Food) are most expensive in Dubai followed by Doha, Athens in Greece, Brussels in Belgium and Ljubljana in Slovenia. The least expensive place for restaurants, meals out and hotel is Tianjin. Costs for public transport, vehicle costs, vehicle fuel, vehicle insurance and vehicle maintenance such as hire purchase / lease of vehicle, petrol / diesel, public transport service maintenance, tires, vehicle Insurance, and vehicle purchase are most expensive in Tbilisi in the Republic of Georgia, followed by Honiara, Dili in Timor-Leste, Douala, and Oslo. The least expensive place for transport is Tianjin. So if you were to relocate anywhere in the world right now, where would you experience the lowest cost of living with the least amount of hardship? Hardship is used as the measure of discomfort a person and their family are likely to experience. Each global location is ranked between 1 which is minimal hardship and 4 which is extreme hardship. Assuming therefore that you would want to live in a minimal hardship location, the location with the lowest cost of living index is Adelaide in Australia. Adelaide is a minimal hardship location and has a cost of living index of 60 compared to New York’s index of 100. The next 6 best places to live on this basis are all in the USA. Memphis Tennessee is 2nd followed by El Paso Texas 3rd, St Louis Missouri 4th, and in 5th is Indianapolis Indiana. The next best non-USA location is Auckland in New Zealand in 8th place. The detailed cost of living rankings as at July 2009 for each basket group for each of the over 200 global locations can be found at Xpatulator.com. 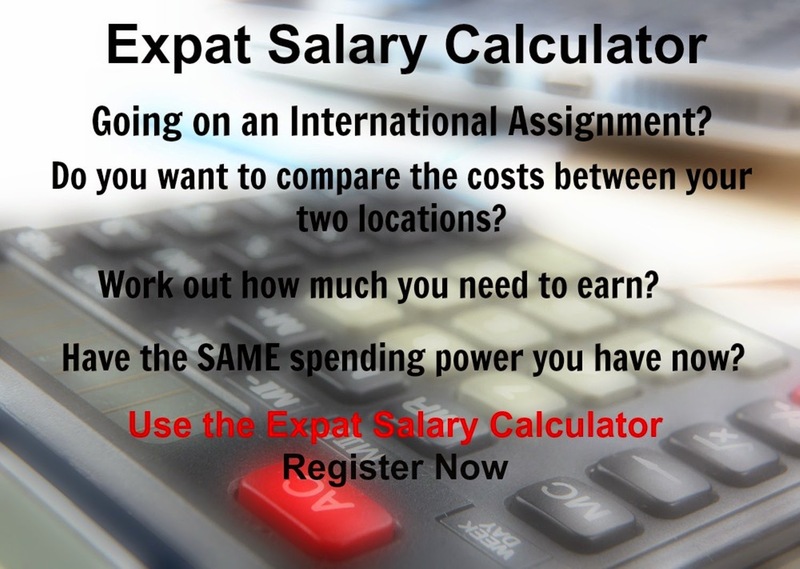 Steven Coleman runs Xpatulator.com an internet service that provides free cost of living and hardship information for 276 global locations to registered users. The premium content international cost of living calculator and cost of living allowance calculator are used for international cost of living comparison and calculation of cost of living allowance. Follow Steven on twitter steveninseattle.